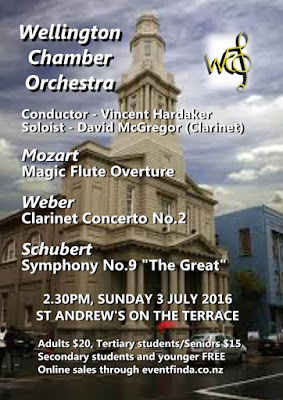 All concerts start at 2:30 pm at St.Andrews on The Terrace. 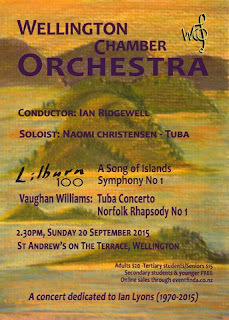 Orchestra Wellington and the Wellington Chamber Orchestra recently signed a Memorandum of Understanding that sets out the principal points of a new partnership between the two orchestras. The aim of the partnership is to enable OW to fulfill their commitment to support community orchestras, and to strengthen the financial and artistic capacity of the WCO. enabling WCO players to attend OW dress rehearsals on specified occasions. 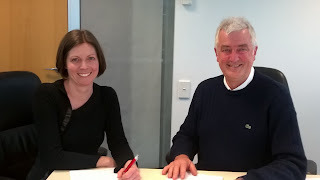 Kirsten Mason, General Manager of Orchestra Wellington, and Richard Howarth, President of the WCO, are seen here signing the agreement on September 14 this year. 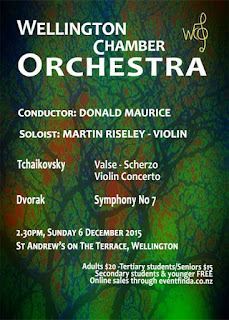 NZSO’s cello principal, Andrew Joyce conducts and plays the solo. 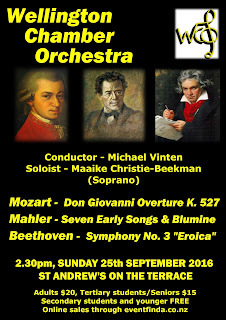 The programme is fun for all ages! 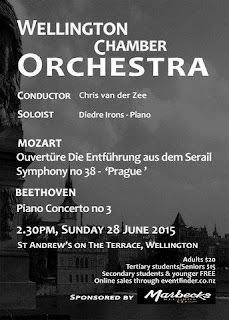 The review of the concert by Middle C is here. 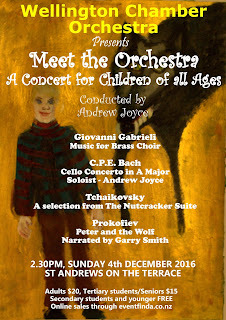 School-aged or younger children free.